The overseas arms of the Indian oil and gas bellwether was offered stakes in blocks in the Barents Sea and the Black Sea, according to India’s minister of state for petroleum and natural gas. 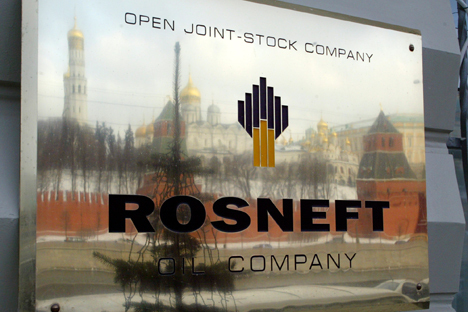 Russian oil giant Rosneft has offered a stake in 10 offshore blocks to ONGC Videsh Ltd (OVL), the overseas arm of India’s oil and gas bellwether, Panabaaka Lakshmi, India’s minister of state for petroleum and natural gas told the country’s parliament recently. The Russian oil major had also invited OVL to participate in the Magadan-2 and Magadan-3 offshore areas in the Sea of Okhotsk. OVL have since visited the oilfields and conducted a preliminary evaluation, which concluded that the risks were high. The Indian company is also trying to acquire a 10 percent stake in the Yamal LNG project. OVL has had a presence in Russia since 2001 when it purchased a 20 percent stake in the Sakhalin-1 project. Analysts largely agree that the investment in the project in the Russian Far East was one of the country’s best transactions overseas, unlike its 2009 acquisition of Imperial Energy. OVL had acquired the UK-listed Imperial Energy Corporation Plc for $2.1 billion in January 2009, after Russian anti-trust watchdog, the Federal Anti-Monopoly Service (FAS), cleared the deal in what was to be its first acquisition of a foreign exploration and production company with significant assets. The company invested another about $500 million in the asset. However its all-along falling oil production has seriously impacted India’s efforts to reduce its dependence on the imports of oil and gas.